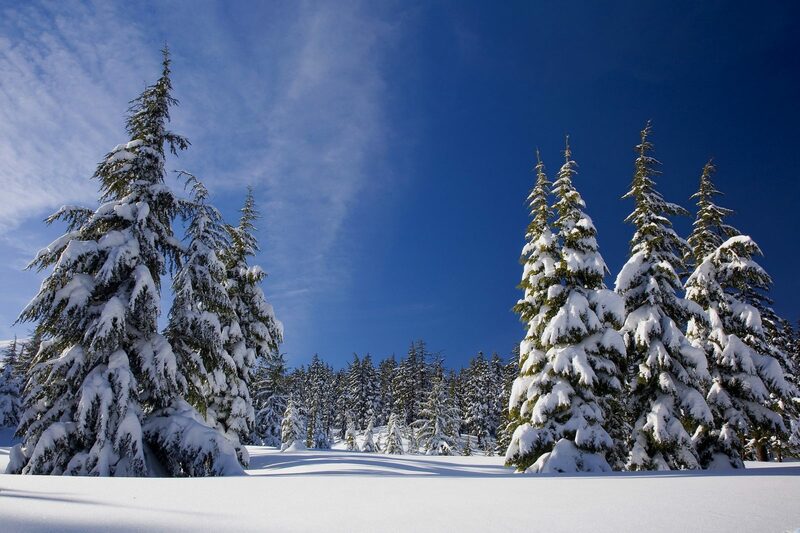 Winter Wilderness Wonderland : Be Prepared and Avoid Disaster! 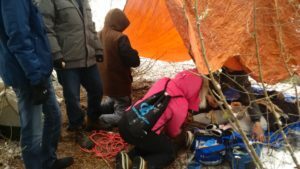 This year has proven to be one of the most challenging for extreme weather events that I can remember in my 40+ years of leading Outdoor Pursuits programs. Winter lasted an extra month, and was followed by an epic dangerous drought and heatwave, with record numbers of dangerous forest fires. We experienced several windstorms, Ottawa ‎was ravaged by severe tornadoes, even the fall colours were strangely affected. Then came a fall deluge, with constant rain, several early snowstorms, and the coldest October and November that I can ever remember. For much of October and November, we’ve had the woodstove humming. What I’m getting at here is that extreme weather events are definitely the new normal. Just ask those poor folks in California, who suffered devastating forest fires that destroyed entire cities, resulting in huge numbers of fatalities. In many cases, people were on their own to survive with their own resources and skills. The thin veneer of civilization that we all rely on, had completely broken down. The challenge here is to examine your level of preparedness at home, cottage, automobile, and when you venture into the winter wonderland to ‎enjoy the few at outdoors. Typically, we humans tend to think that “it can’t happen to me”, until something happens. The key is to be proactive, versus reactive. Before heading out, let someone know where you’re going, and when to expect you back. For longer overnight rips, file a proper trip itinerary with authorities, eg O.P.P. If a mishap occurs, are you trained in Backcountry First Aid and CPR? Last year in Ontario, approximately 12 sledders died due to drowning. 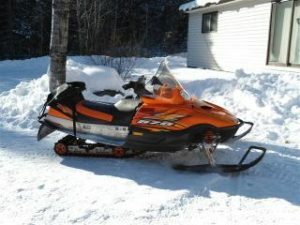 Snowmobiling is now the number two cause of death in the Ontario wilds. According to one O.P.P. Sergeant, “there’s no such thing as safe ice”. Last winter, one local OFSC trail didn’t open until late January, but incredibly, we witnessed numerous sledders breaking the laws, sledding illegally on trails that were not open, often without emergency gear/license/trail permits/insurance, and even more idiotic, sledding across lakes with very suspect ice conditions. The Trail Ranger program was recently cancelled, leaving policing of Ontario’s vast trails up to the O.P.P. Sled maintenance, is your sled tuned up? Ice thickness and safety, 4 inches + to walk or snowshoe on, 8 inches + for sledding, 14 inches + for automobile. Other factors that can weaken and compromise ice, include ice formation, eg was there an early snow cover, proximity to moving water, strong currents, swampy water, and near to shoreline. Proper emergency gear and communications‎ should at minimum, include a survival-safety kit, first aid supplies, ice picks, a buoyant heaving throw line, wearing approved flotation, and a communication or tracking device. Also, extra gas can, and an emergency booster pack (see photo) that can boost, Kickstart, or even replace your battery to get you back to civilization. Advanced Tips: carry a set of lightweight aluminum snowshoes!, Wear plenty of layered, wool and fleece clothing with thermal long Johns. Heated helmet and hand warmers are a must.‎ Don’t forget plenty of hydration, eg water supplies, and thermal water bottles that can keep water from freezing. Furthermore, have high-carb food supplies handy. Zero alcohol or drugs‎ is obvious. Latest statistics point to 40% plus causation of sled fatalities. And not just alcohol, also marijuana and hard drugs. 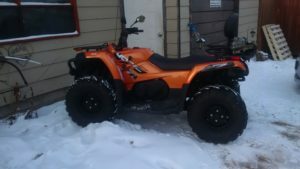 -ATVing is the number one cause of death in the Ontario wilderness‎. In addition to the tips for slender, having a working winch, and flat tire repair kit (air pump that comes with the Jumpstart kit!) are good ideas. -Snowshoeing, Cross Country Skiing‎ are relatively safe outdoor activities, however, carry a small day pack with basic survival and first aid supplies eg waterproof matches, tarp and solar blanket, tin can for boiling, headlamp, knife or saw. -Winter Camping‎ is a fun and challenging activity. I prefer Arctic Expedition four season tents, like the Eureka K-2, or a North Face wall tent. My favourite is a hot tent with woodstove! – Automobile‎ survival in winter includes having at the very least, -30 celsius mummy sleeping bags, 100% wool blankets, high energy ready to eat foods, eg granola bars and trail mix, water supplies, extra woolen clothing, and warm winter boots. – Additionally. Have candles, flashlight, flares, gas line antifreeze, and a roadside assistance plan. – Advanced Tips: I always travel with a Wilson’s We boost Cell Phone Booster, amplifies your signal by up to 40 times. – Additionally, having a satellite tracking device like a SPOT Gene or Garmin In-Reach makes sense.‎ Don’t trust a car GPS system, or Mapquest/ Google Maps, when traveling in rural or wilderness regions. – Home and Cottage‎, same as automobile, eg sleeping bags, wool blankets etc, add a working high efficiency wood and/or pellet stove, backup power sources, eg digital sinewave Inverter portable generator or backup standby generator, solar heater, solar system, etc. – You need electricity to keep the well and furnace running! Now go out and embrace the beauty of the winter wilderness! ← Fire Building-101 for Camping and Survival! 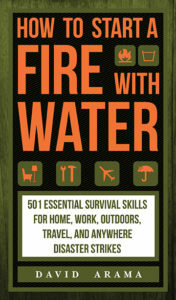 Fire Building-101 for Camping and Survival!